Many people in society today associate age with weakness, senility and being slow. This is the stereotype that we are being constantly exposed to by the mass media. Sadly enough, it is this stereotype itself that causes us to become weak, senile and slow as we age. You see, research has shown that the people who associate aging with these negative characteristics often develop them as they age. These associations serve as a self-enforcing affirmation that is propagated by the brainwaves that people emit. In other words, many people grow to become weak, senile and slow because they’ve always believed that this is what old people are like. However, if we take a look around us, we can surely find many examples of active, healthy, and attractive people who age gracefully with time. They believe that this is how elder people should be, and their bodies react positively to these brainwaves that their minds emit. Do you wish there was a way to naturally reduce wrinkles and improve the condition and radiance of your skin as you age? Are you used to the stereotype of elder people being slow, clumsy and useless? If you are, you must change this mentality right now! With today’s Brainwave technology, we are now able to subtly influence our brainwaves to align with our goals and targets. Finally, we can easily improve our perspective on aging, feel and look younger, and cultivate an irresistible zest for life! 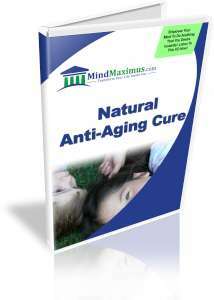 No reviews on F07 Natural Anti-Aging Cure so far.